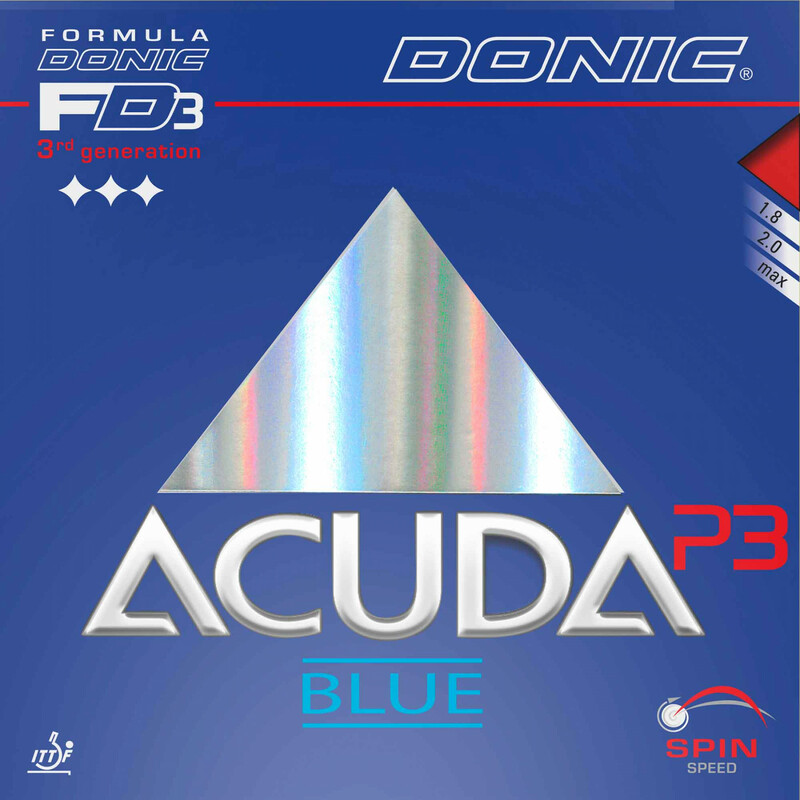 Donic Acuda Blue Range is the latest table tennis rubber development from DONIC. With the latest generation in top surface rubber: grippy, as with Bluefire M1 Turbo and JP 01 Turbo but with slightly flatter ball arc combined with the very popular blue sponge. The result is a rubber that is very easy to play which combines great speed and spin with fantastic control. Acuda P3 is the soft sponge version of the range and is recommended for all-round players who require great control. 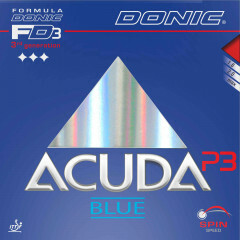 Donic Rubber Acuda Blue P3 is beeing added to cart.